This project was created on 10/26/2016 and last updated 2 months ago. This project was based on the Huntron Trackers. I could not afford to buy one, so I developed my own ones and built them. It is good for compare a working and a not working circuit board, without you have to apply any power to it. 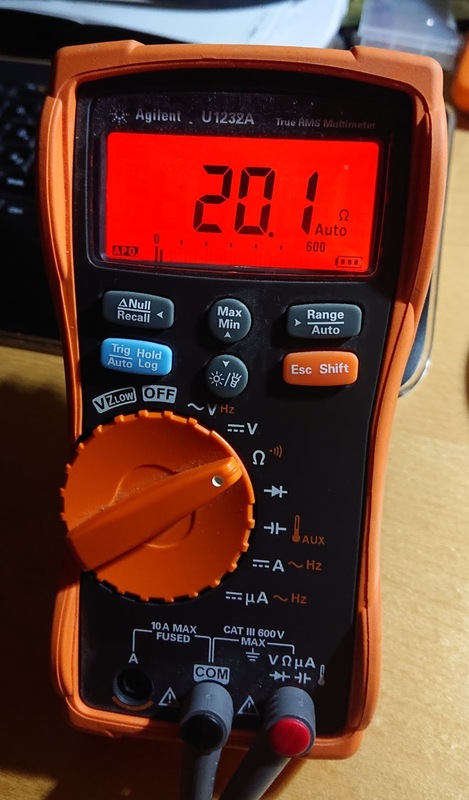 A curve tracer show Voltage - Current characteristic of any electric component, like diodes, capacitors, CMOS ICs and many more, which you want to look. I created three version of the tracker, called Version 1 , Version 2 and te most recent one is Version 3. SUF joined the development, and he is currently designing and testing a new version which will be the Version 4. Below this lets see how each version works. I started develop this version around 2017, when I saw a Huntron tracker at my work and I thought it is not too difficult electronic, but so overprice at the same time. The Version 1 has just one voltage and one frequency range, so it is a very basic model. The basic idea behind a curve tracer a simple circuit, which input is a sine wave and has some resistor in it. We need a current limit resistor and a current sense resistor. The other big part is a dual channel oscilloscope with X-Y mode, or like my version I used a cheap arduino pro mini and a display, it is more then enough for a basic operation. I added a function, with the tracker can save a curve on the display and can measure an other component at the same time, so with that you can compare a good component with a bad component. The schematic is a updated version, with some compensation, and modification on it, I could reduce the short circuit difference, so the line is almost vertical on the screen, when the two probe is shorted. The upper op-amp is the voltage sense (X axis on the screen), the lower op-amp is sensing the current, which is flowing through the measured component (Y axis on the screen). It is not too pretty, but it works well, for a beginner I recommend to start with this, because it is cheap, and after easier to improve. The second version is basically a much closer producte what I really wanted to create, it is based on the Version 1, but I learned a lot from my mistakes. I wanted a multi range and pc compatible version with the stand alone usability without pc, so most of the time I can use it like a independent device, but if I have to I can save the curves to the pc as well. The development was long, it took me more than half a year, and a lot of money as well. I think it is worth all the time I puted in it. Lets start show what I am talking about. It has 25 voltage range, 5 resistance and 6 frequancy range. The screen is a 4" mcufriends tft touch screen, but in this operation I did not put any function on the touch screen. The Version 2 has two channel, it is more easier to compare curves at the same time. The buttons light up when the actual function selected. This device is much more complicated then the first version was, so I do not recommand a beginner to try to build this. More info about this version you can find below at the log section. I started developing a new version after a couple months the Version 2 was finnished. This will be similar to the Tektronix TR210. It is basically the Version 2 without the screen and any pc connection option. For this version you need a dual channel oscilloscope, but I think it is not a problem for that who is looking these types of instruments. This version also open source, so everyone can modifie and develop it. Version 3 have 6 voltage ranges, 6 resistance and 3 frequancy ranges, it also capable to measure two channel alternatly. You can find the documentation at the download section. There are many things happened since my last real project log. In the V4 almost all of the controls are working with PC control: -frequency, amplitude, current control resistance, DUT switching and alternating. The only thing left until the equipment start to work as expected is the measure amplifier control. On the other side I&apos;ve long road ahead. Please be aware. The hardware designs, firmware source, PC software source is under heavy development. Every commit goes to the master branch. No reason to switch to any kind of branching model (gitflow for example) yet. Please do not use the repo for building the instrument. It WILL NOT WORK!!! 1. Support our development effort. 2. Give some outlook about what we want to achieve. I&apos;m continuously working on this Curve Tracer in my spare time. I designed a Vishay VO14642 photovoltaic SSR into the circuit. It is quite a nice, but pricey device. I thought why not try to order it from Aliexpress. For control I also ordered a few from Mouser. This device should have 0,25 Ohm maximum on resistance. This log is intend to be a small status update without deep explanation of circuit or software description. 3. All of the boards ordered from JLCPCB. I&apos;m expecting to get them until end of tomorrow. 5. I had not too much lack with the selected MCU. First I tried to use Arduino for the programming. 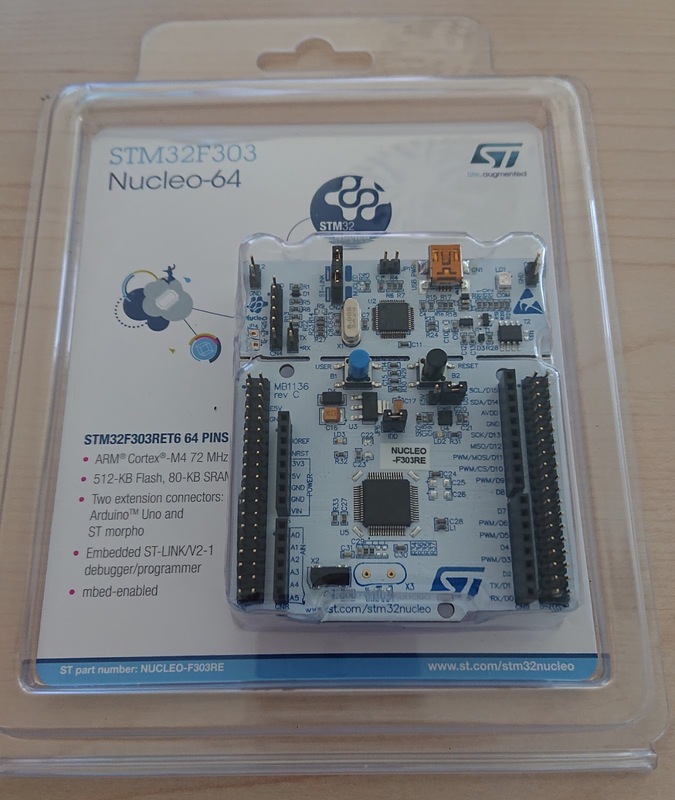 The STM32DUINO is almost unusable when you want to do something deeper hardware related. Running the Timer-DMA-DAC as a sine wave generator was unsuccessful. After a few days struggling, switched to CubeMX + Atollic TrueStudio. With this environment, it started to work almost instantly. After this I tried to put together the USB-CDC communication unsuccessfully. After many tries, also involving other development boards, it become clear, that the USB code generation of the CubeMX for F3 simply doesn&apos;t work (we will see if any suggestions come: https://community.st.com/s/feed/0D50X00009fCudGSAS). So I switched the project to F4, to be precise to STM32F407VG. Actually I&apos;m using the STM32F4-Discovery board for the development, what I already have for years. The sine wave generator works, I&apos;ve some USB communication, I&apos;ve the command interface for the components (the commands still not work via USB, but it is on the way). The plan actually, to build the first iteration of the V4 device, completely controllable through the USB port and using a PC software for all of the functions and display. The integrated LCD and controls will come in the second iteration. I&apos;m heavily working on the next version of the curve tracer. Today I almost finished the schematics of analog modules of the device. All of drawings are uploaded into the files section. Actually everything reside in a private repo on the GitLab. This will be publicly opened when I order the first revision PCBs. Until this time the whole circuit is so shaky that I don&apos;t want anyone to build it, because the design will probably heavily changed and there are incompatibilities exists between the schematic an PCB designs. It converts the 0.65V-2.65V swing sine wave from the MCUs DAC module to +-10V (20Vpp) gound referenced load capable signal. In the input I put a unity gain differential amplifier. 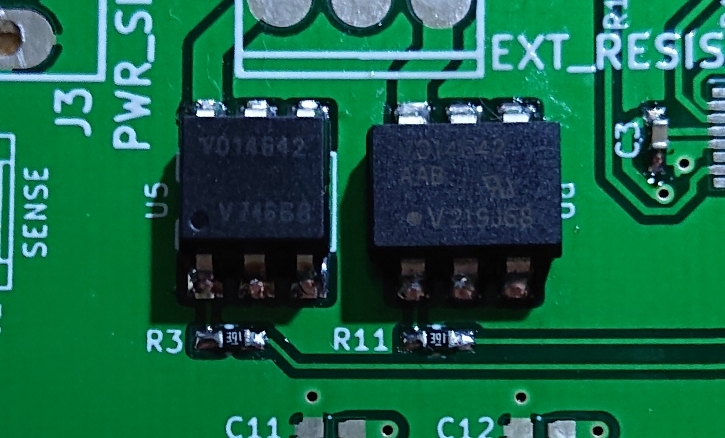 This will convert the input to -+1V by substracting the 1.65V reference DC from the power supply. The next stage is a 1.28x gain non-inverting amplifier creating 2.56Vpp signal. This signal attenuated by a 256 step digipot. This give us 10mV step control of the power amplifier. The power amp has a 10x gain. So the result: we can control the output voltage of the amp 0-20V in 100mV steps. This is a two channel amplifier one for the current, and one for the voltage. The input signals are buffered with two unity gain amplifiers. The voltage signal is coming from the voltage across the DUT and amplified by a "PGA" capable of creating x0.1, x1, x10, x100 and x1000 gain respectively. The current signal is comming from the voltage across the current limiting resistor. As this is not ground referenced I used a differential amplifier configuration with x0.1, x1 and x10 gain. This is all for now. More to come. As I mentioned earlier I wanted to change the two AVR MCUs from the original design to a single 32bit one. My name is Zoltan Gomori (SUF). I recently joined the project to speed up the development. Now, I&apos;d like to summarize a few design concept for the project. I started to work from the 3rd version. As I see now, It can be called as the 4th version because it will have so much differences. I uploaded all of the latest drawings and ino (arduino) files for all 3 version. You can find in the "File" section, and you can download those. I finnished the Version 3 prototype, every function is working now. I found tested some future development on it, and I managed to connect it to the PC, so will be also capable of saving curves onto an excel sheat. I need some time and I will finnish the configuration on this also. I am quite happy about the prototype, I think it is better then what I expected when I started. Now I have the final circuit so I am looking forfard to designing my own pcb for it. It still missing the power plug at the end, but I will place it. I did some progress on the Version 3 prototype, it has more working function then before. I am still facing with some hardware butg, what I inherit from the Version 2. 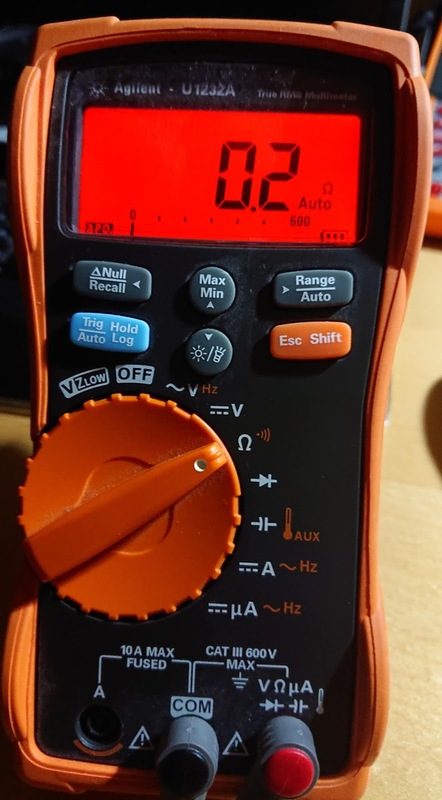 I found out the original circuit has big issues, because I did not had Oscilloscope when I developed the Vesion 2 I could not see these issues before. The Voltage ranges was messed up. Most of the issues I could fix, but it has still some. The v4 is in the lab today. We are although it is OpenSource (I&apos;ll post the repo after this answer), we are plan to sell it when finished. Complete unit for sure, panels, kits are under consideration. Please don&apos;t expect it shortly as still a long road ahead until the finished equipment. Could you give me schematic data and a list of components like display type etc Versions 2 ? I&apos;m sorry.I&apos;m not good English. Thank you very much. For the document you uploaded. What version of the board INO do you use for the project Tracker_V2? I use the board Arduino mega 2560. I used Arduino Due, that why you have errors. Due has 16 bit adc an 2 Dac. That what the errors say. Do you have the INO for Version 1? and I will make up some plotting code that is X vs Y with &apos;previous plot&apos; persist feature. I assume Op Amp is dual or quad, rail to rail, single +5V . LM339? Not high frequency. I assume I could use a 9VAC transformer secondary to run a Regulator 7805 into the Ardy NanoV3 for power and isolate the Laptop USB (+5V) for safety. What settings for the pots were useful in testing? R3(gain)&R4(offset) adjust Volt X axis ranging, so setting them for a nice amplitude ratio is obvious. R5(gain)&R6(offset?) adjust the current Y axis scaling. and its highest in-circuit current is 333uA or 1/3rd of my multimeter but with like 16.8VAC on my true-RMS Fluke, so like a bit high. That DT-1 adapter used the famous low profile FlatHead 115 VAC primary - 12.6 VAC dual series secondary and I have had issues with testing delicate 3.3V modern logic. Your V1 is a good front end for an Ardy NanoV3 with cheapo display OLED 0.96 128x64, total $15 here in Canada. I had a Huntron1000 for 17years and I am familiar with the characteristic failure mode waveforms on V+/- and I+/- quadrants. (the problem is that Tracer+Oscope+AC+probes is not really &apos;portable&apos; IMHO). all running from Li-Ion single cell 18650.
the problem may be that a mini audio TXfmr may not have enough power at output (1000:8ohm oldschool style) to make a V/I display "work"
A Huntron in a Pen with USB charging, and ground clip, for comparison sniffing. You V1 thing, cased up V2, and the range chart in V3 (settings 2 and 6) gave me the idea. You can find every documents in the download section. Hi Friend... thanks for information about your Project. it is a nice job. ı like it. I am an electric and electronics teacher in a high school in turkey. I want to make it your Project. Can you share me your Project details. Hi, sorry for my bad english. The progeny are great. please share with me from the developments and documents. The project is very interesting it will be very good to link it with a database in such a way that the curves of the article have been analyzed, I can collaborate on that topic. I&apos;m sorry.I&apos;m noot good English. It is a beautiful project. Could you upload arduino code curve tracer V3 files if thats ok or send to this email:worrawit2010@gmail.com Thankyou verry much. I did not write the code yet, i still have to write it, sorry. Can you send a source code version 2 by email? I have doubts about this. How you wrote source code read analog input 2ch plot to curve trac and show on tft lcd to smooth it.. Le hago una consulta, el transformador de características es? El código en la descarga es de la versión 1 ? En la versión 3 usaría tres arduinos? El MICRO, el DUE y el MEGA? Do I read correctly that you are not able to add beyond version 1? It would be nice to know so that I can plan to add some features myself or wait for you to release the information or an actual product to buy. I don&apos;t have nearly as many features as your V2. I think it would make a nice product but I am guessing that you may have troubles with Huntron or some of the other manufacturers. I hope they have not caused you legal difficulties! :-( Perhaps you can sell it to them lol? Theirs looks primitive compared to this and I&apos;m sure will not cost $2k ~ $4k to make. I did not have any problem with Huntron. I can sell my trackers I guess. The Version 1 documentation you can find at the download section, but it is not too well made. I am working on a new updated Version 1 with better documentation and a new Version, which is called Version 3. It will be like the Tektronix TR210, but much cheaper. The Version 2 is waiting for some finishing, but it is in use at the moment. I am not sure what I wanna do with these, but I am sure I would like to make it open source and both make a kits from them, so I can get some money to develop new features. I think a kit would be very popular. It would be too ambitious for me to tackle without one. I&apos;m a hardware person that knows just enough programming to be dangerous lol. I don&apos;t know what I can offer there. Is there specific help that you&apos;re looking for? I have been thinking of ways of making something like this for a while. I decided to google before I started serious design and this popped up. The V1 docs are fine from what I saw. Perhaps not for an inexperienced person. The big limitation in the V1 design as you know and resolved is that it relies on the fixed 60hz signal. The other you&apos;ve solved as well- the ability to compare 2 channels "A-B" testing. At the other end is the Saelig ABI System 8. It&apos;s an extensive system- starting around $6k. The AMS is the VI module. "Using a novel approach to V/I signature testing, the SYSTEM 8 AMS increases test coverage by varying the frequency of the test signal to observe the DUT&apos;s Device Under Test) response over a frequency range. This can lead to finding faults not detectable with other instruments." It has 64 channels and can do a matrix scan. Rather than comparing the test point against a single ground reference, it can test one test points against multiple other test points. Our company is looking at buying one as the 64 channels and requiring less operator interpretation is better for a production system. This project is way awesome! Hi, Máté Version 2 is a beautiful project as you can see from the picture. I wish you continued success. Thank you, I am planing to make a PC software for it, with that I will can save curves, and that is the goal. Hi, Máté wonderful project. You will share files. ?? Hi PROFESOR, Thank you. To be honest with you all of who here because of you want to build it. I have to tell, I have many many reasons why I should not to publish everything about my Version 2. It is not fully my decision. I am sorry, have to tell you now, but I can not publish the version 2 schematic and code. cool Mate hope you finished soon ! Designing an open source, modular bench power supply to rule them all. What happens when you combine crappy multimeter and poor programable calculator? You are about to report the project "Microcontroller based curve tracer", please tell us the reason.